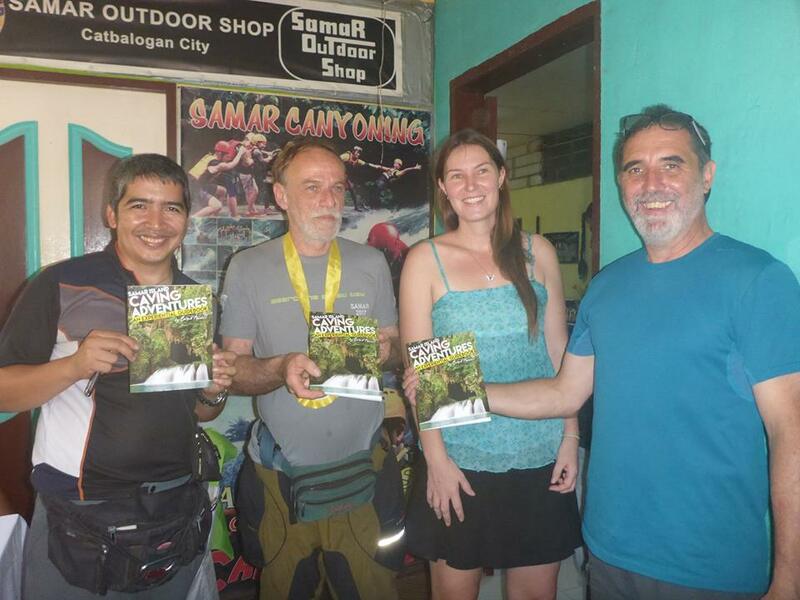 CATBALOGAN CITY – The first-ever caving guidebook in the Philippines — the “Samar Island Caving Adventures, An Experiential Guidebook” — was recently launched here to the delight of caving enthusiasts. 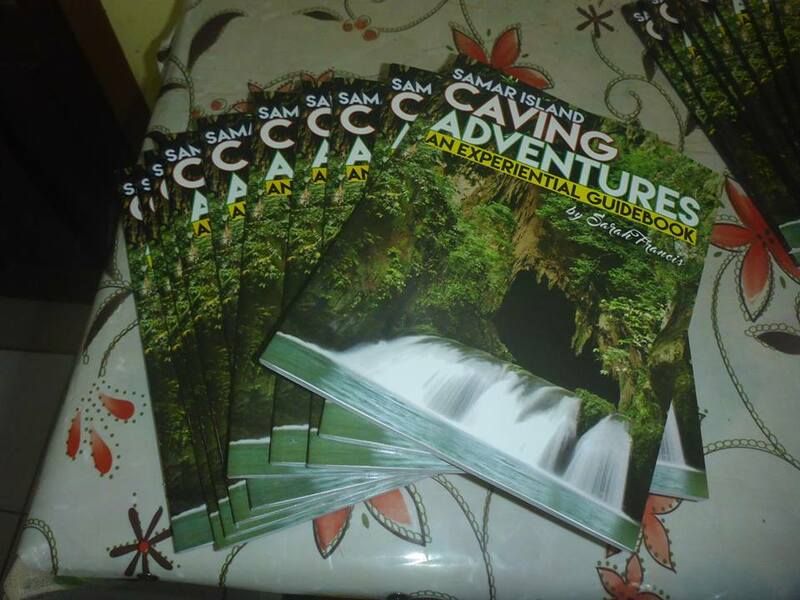 “Description, maps and data for the top 20 caves in Samar Island” as well as “stories of caving adventures from 12 expeditions” are included in the guidebook. It also gives tips on cave photography, the length and time needed to explore a cave, the level of difficulty (whether for beginners or advanced caving) and if flood-prone, among other relevant information. “But this is not your typical cave guidebook. While it contains essential cave data it takes an experiential approach to caving, including stories and photos of the caving adventures leading to its creation,” says Australian caver Sarah Francis, the author of the cave guidebook. 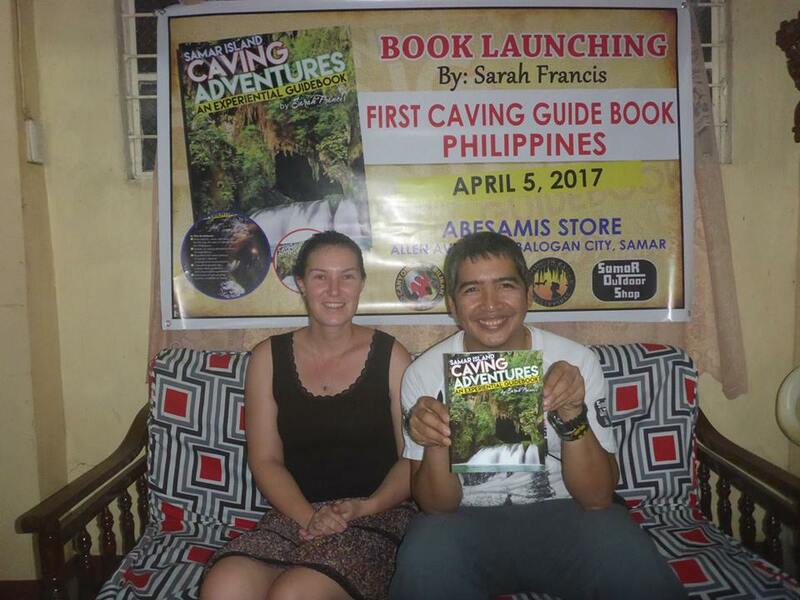 Francis reveals that before she started writing the guidebook, she and Bonifacio first embarked on 12 separate caving expeditions in Samar Island in 2014, and that in the following year she collected more data from key international speleologists like Italian caver Guido Rossi, French caver Jean-Paul Sounier, and some members of the Aven Club Valettois and the Asian Karst Exploration Project that had previously explored caves in Samar Island. “The culmination of these efforts is the book,” she says. Featured in the guidebook are caving experiences at the Langun-Gobingob Cave, the country’s largest cave system located in Barangay (village) Panayuran, Calbiga, Samar and in the Sohoton Cave, a favorite ecotourism destination located inside the Sohoton Natural Bridge National Park in Basey, Samar. Some caves in Matuguinao, Samar are likewise featured like the Matuguinao Cave in Barangay Maduroto; Sulpan Maybug in Barangay Tarabucan; Sulpan Barruz Cave in Barangay Barruz; and the Sulpan Male-ho in Barangay Camono-an. (The last two caves were recently connected and the Sulpan cave system now has a total length of 32.100 kilometers, most likely the “Longest Cave in the Philippines” new record holder). Also included are the Burabot system in Barangay Panayuran and the Canyawa Cave in Barangay Camlongan, both in Calbiga town; the Napon-od Cave, Panaghoyan Cave and Lobo Cave, all in Barangay Tagbayaon, Jiabong, Samar; Lasuna Cave in Barangay Cabang, Hinabangan, Samar; Crystal Cave here in Catbalogan City, and the scenic Sulpan Pinipisakan Cave in Barangay Balang, San Jorge, Samar. Four caves in Northern Samar have write-ups, These are the Kilometer 3 Cave and Robin’s Cave, both in Barangay San Isidro, Las Navas town as well as the Bito 1 & 2 Caves in Barangay Sawang of the island-town of Capul. Lastly, two Eastern Samar caves are included: the Talubagnan Cave in Barangay Bato, Borongan City and an unnamed cave where cave diving was held. Copies of the caving guidebook are available for sale at P350 each at the Pasalubong Center near the provincial capitol and the Grand Tours van terminal along San Bartolome Street, all in the Catbalogan City, and at Ruchel Native Chicken Tinola Eatery in the town of Calbiga.